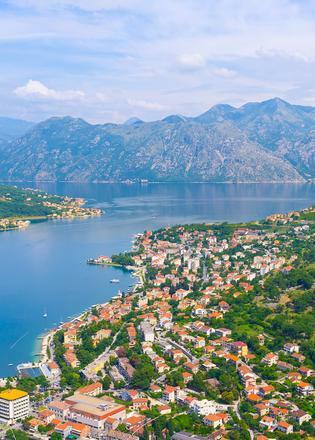 Situated between Corfu and Venice, with superyacht hotspot Croatia as a neighbour, Montenegro is sublimely positioned in some of the best cruising grounds in the world. With towering peaks surrounding a rocky coastline dotted with pretty waterside towns and bright blue waters Montenegro is an idyllic place to explore on a luxury yacht. The destination, that was once the holiday spot for Sophia Loren and Princess Margret, is now embracing the modern superyacht industry. The superyacht heaven of Porto Montenegro marina is arguably one of the best equipped in the Mediterranean and the country is bursting with great restaurants and secluded hideaways. For warm dry weather the best time to visit is between June and September. From mid July through to August the Adriatic is busy with holidaymakers from all over the world. June and September are quieter months, though the sea temperatures may be a little fresh in June. In the summer, almost every coastal town or village has a summer festival of some kind or another. In February and August Kotor hosts a carnival with mask-clad revellers. Montenegro has a short but spectacular coastline. The Bay of Kotor is the main location for superyacht activities with the impressive Porto Montenegro marina nearby, which is also one of the top party destinations in the Mediterranean. 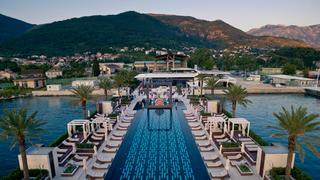 Budva is another lively seaside town and is packed with restaurants and bars to enjoy. 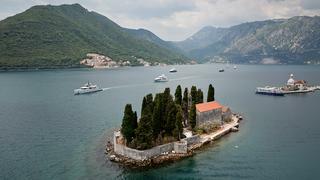 The charming island resort of Aman Sveti Stefan is also popular destination among the luxury yachting community. The fisherman’s cottages on this 15th century fortified islet have been converted into 50 luxury rooms, cottages and suites. 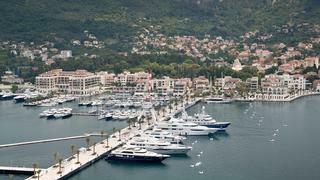 Superyachts can anchor in the bay by Villa Miločer and then tender onto the pier . Luštica Bay also has spectacular offerings including a breathtaking golf course, which is more than 300 meters above sea level. Kotor Old Town has many boutiques offering designer clothes and shoes from across Europe, especially Italy. There are also numerous souvenir, book, antique and jewellery shops. Budva has a similar array of shops and the bazaar. A trip inland is well worth it for the intense beauty of Montenegro’s mountain regions. There are four national parks, which can offer hiking, biking, mountaineering, skiing, bungee jumping and rafting. Wine tasting by helicopter? A babysitter for the evening? Montenegro has a tailored concierge service that hooks superyacht owners up with whatever they need. With three of its own helicopters and bags of local knowledge, it can whip you up a mountain or just make you dinner reservations. Montenegro is fast becoming a famous party destination. 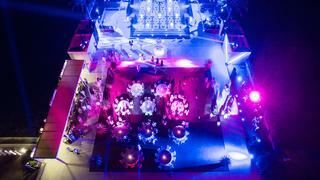 Porto Montenegro hosted Boat International’s inaugural Montenegro superyacht rendezvous this July. Top Hill club is located just above the city of Budva and is another popular nightspot which a selection international DJs making appearances. There are plenly of opportunities for fine dining away from your yacht in Montenegro and the real flavours and tastes come from its traditional restaurants. A good example of this is the former flour mill Catovica Mlini which has been in the same family for nearly two centuries. It aims to serve “the best that the sea and seaside” has to offer. Alternatively you should consider visiting Konoba Langust in the small fishing village of Pržno. It offers some of the best seafood in the country, which the owners catch themselves. Ribarsko Selo on the Adriatic coast also offers outstanding seafood, with a jetty you an tender to. Situated in the stunningly beautiful Bay of Kotor in Montenegro, Porto Montenegro has been welcoming luxury yachts since 2009. It is the vision of Canadian businessman Peter Munk and utilises the existing infrastructure of the former Yugoslav naval facility, upon which it is built. There are currently 400 berths for yachts 12-180m and it is planned by completion to offer 850 berths, 350 of which will be specifically for superyachts. 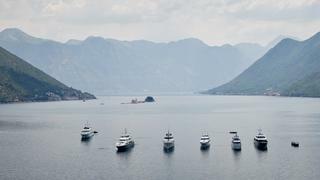 The towns of Budva and Kotor have limited berthing facilities for superyachts and there are also several suitable anchorages in the Bay of Kotor. 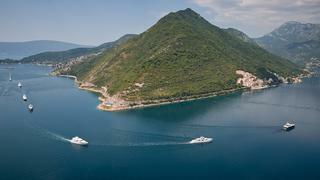 Foreign-flagged vessels must purchase a vignette (permit) to use Montenegro’s navigable waters. The style of dress varies according to the region and is very similar to the rest of Europe depending on whether you are working in a big city or enjoying leisure time by the sea. Sunscreen, sunhats, sunglasses and beach shoes are advisable. A motorway is in progress but otherwise the condition of the roads can be variable, although traffic is mostly light except in the peak summer season along the coast. On the spot fines are made for minor offences and tourists are a prime target. There is a small risk of rabies, particularly inland, so avoid stray dogs. Mountain climbing is better carried out in an organised group with a local guide as the weather can change quite rapidly. Bear in mind that other activities such as white water rafting may not always fall under such strict health and safety regulations as in the UK or US, for example.